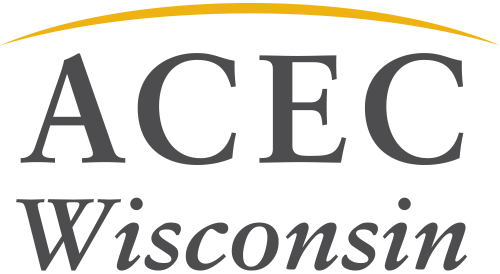 John I. Boldt, PE, FACEC of Clark Dietz Inc. was honored with the ACEC WI Lifetime Achievement Award during the March 22, 2019 Awards Banquet. The Lifetime Achievement award honors the legacy of members who had a profound impact on both the organization and the engineering profession. It was developed to recognize an elite group of influential members for significant contributions of the course of a career. John has been a dedicated ACEC WI volunteer for more than 20 years. His service to the organization began as a member, then Chair, of the DNR Committee. He then served on the ACEC Wisconsin board starting in 2001 and served as the organization’s chair in 2005-06. During his year as Board of Directors Chair, the Business Practices Committee developed what is now known as the Leadership Institute. Illustrating his commitment to the program, John served as class mentor, attending all the sessions and providing a principal’s perspective to the class. His efforts provided a unique benefit to the first two classes of future leaders. He continues to stay involved by serving on an annual program review task force, serving as a panelist and presenting during the Risk Management for Future Firm Leaders session. In addition to the Leadership Institute program, John continues to stay involved on the Government Affairs Committee and is a strong supporter of ACEC WI and National’s advocacy efforts. John was honored nationally by ACEC by being named a Fellow of the American Council of Engineering Companies in 2009. John is also active in the community, several professional organizations and the University of Wisconsin-Platteville Alumni Board of Directors and Foundation Board. John Boldt exemplifies the spirit of the Lifetime Achievement Award with his contributions to ACEC WI and National, civic leadership and contributions to the engineering profession.